I know some of us already started a discussion on The Other Murdock Papers Facebook page, but I felt that this show deserved a proper review. If you want to call it that. In all honesty, it’s more like a list of thoughts and observations. (One of these days, I’ll get to Luke Cage as well. It came out in the middle of my hiatus, but I’m currently watching it for the third time). Oh, and I seriously started this post in the middle of March, before a shitload of “life” happened (some bad, most of it good) and got in the way. I really am making a comeback. In fact, I’m looking forward to finishing another handful of half-finished posts after this one. Oh, and we also need to talk about the first proper Defenders trailer. To be continued. Meanwhile, beware of full spoilers ahead. Iron Fist has already been branded a failure by most critics, and I’m sure many viewers were preparing for the worst after the early reviews almost unanimously warned us to stay away. Interstingly, while the show has a shocklingly low rotten tomatos rating of 17 percent, the corresponding audience rating is much higher. Not quite as high as for the other Netflix shows, but still a respectable 79 percent (Rotten Tomatos ranks an audience rating of at least 3.5 out of 5 as a “like”). It also has a relatively impressive 7.2 rating on IMDB. Does it deserve an 7.2 out of 10? No, I don’t think so (I’d give it maybe a 6.8), but neither does it deserve a Rotten Tomatos rating of 17. Seriously. This was the show that a lot of people were looking to tear down from the very beginning for reasons that have little to do with the actual merits of the show. Rarely great, but consistently fair to good would be my overall assessment. What I found when looking at the reviews was that Iron Fist was penalized much harder than the other shows for problems that are common to all of them. All of these shows have pacing issues. For instance, I loved Luke Cage – and definitely rank it higher than Iron Fist – but it also took me almost three full episodes to really get into it. 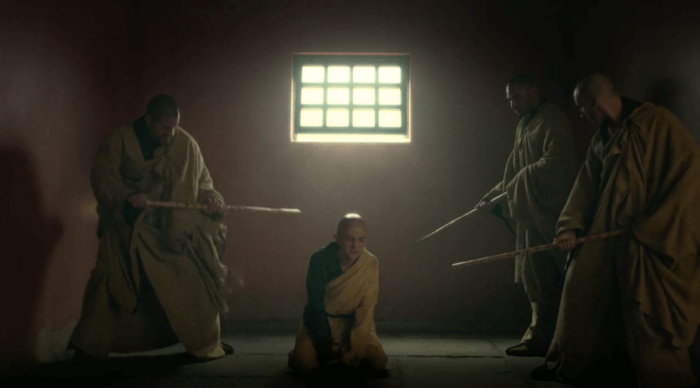 While Iron Fist also moves a long at a leisurely pace, it didn’t really bother me, and the show kept my interest going into each new episode, without necessarily wowing me. I’m sure some people have the opposite view when comparing Iron Fist to the other shows, but it’s hard to establish objectively that Iron Fist has considerably worse pacing issues than its predecessors. Unlike both seasons of Daredevil, which fizzled near the end, I also thought that the last third of Iron Fist was the strongest. I’ve also seen at least one reviewer note that Iron Fist takes the generally problematic (for all the shows) subplot issue into new realms of absurd. I don’t get this at all. In fact, Iron Fist has two clearly recognizable main plots – let’s call them “inside the Rand Corporation” and “outside the Rand Corporation” – that run parallel to each other and intersect at regular intervals. What additional subplots were there? Sure, characters are added as we move along, but they all fit neatly into on the two spheres. Heck, I thought the first season of Daredevil had bigger subplot issues, such as Elena Cardenas, Ben and Karen etc. Not to mention Jessica Jones. While it’s true that there is a lot of time devoted to the Maechums and their family dynamic, that’s probably a good thing, considering that the characterization of Danny Rand was, by far, the biggest single problem of this show. Whenever you feel that something has been unfairly maligned, it’s easy to get overly defensive. I intend to try to avoid that, because there are some pretty glaring flaws that need to be looked at honestly. Finn Jones was okay as Danny Rand, but only just okay. The show might very well have fared better with a different lead actor. However, the problem with the Danny Rand character isn’t the actor as much as the material he had to work with. Danny is poorly written, his motivations are unclear and shifting, and he shows virtually no character growth at all during the entire season. His naiveté would have been charming if it weren’t for the fact that it is often so profound as to cross into the territory of gratingly annoying. Combine that with the kind of arrogance that often comes with immaturity, and he’s not nearly as likable as he should be. Whatever this show accomplishes it does so in spite of the main character, not because of him. Because so much of what’s wrong with Danny has to do with the material the actor is given, I do still hope that he’ll have a stronger outing in The Defenders, when he’s in the more capable hands of the Daredevil season two showrunners. Give the character an actual arc that makes sense and Finn Jones will be in a better position to do a good job. It’s no surprise that people are falling in love with Colleen. There’s a lightness and elegance to her being that immediately attracts the viewer, and makes you want to spend time with her. And, her complicated past, as revealed to us late in the season, makes her even more interesting than she would have been as a one hundred percent benign character. She is also the most interesting character to watch in all of the fight scenes she’s in. Iron Fist manages to never look like the strongest fighter in any of his fights. Colleen Wing, on the other hand, looks much lighter, quicker and more dynamic. I really loved her cage fights, personally. While on the topic of Colleen Wing, let’s get to one of the more interesting themes of this show: The cult mindset. In the “post-truth” era, dealing with characters that have reason to question and reevaluate what they know and why they believe what they believe is quite refreshing. Both Danny and Colleen have grown up under the influence of people with strong views and very particular beliefs when it comes to right and wrong, friends and enemies. There is little room for doubt and no shades of gray. The Iron Fist is a sworn enemy of the Hand, and that’s that. Colleen, meanwhile, lives her life following the path laid out for her by her sensei. Doubt is discouraged and submission to the established hierarchy is a given. I’ve always been interested in cults, and the reasons people join them and stay in. Over the last few years, I’ve been particularly fascinated by Scientology and have about half a shelf worth of books devoted to the subject, ranging from the stories of ex-Scientologists to general exposes of the church and its founder L Ron Hubbard. When Colleen tried to defend The Hand, my thoughts went straight to the Church of Scientology, as there are some pretty interesting parallels between the two. One is the way in which the nature of the organization changes depending on who you are, how long you’ve been in and where you are in the larger hierarchy. Only the upper echelon membership is privy to the bigger secrets, and a new member – or even the likes of Colleen – may have an incomplete, even misguided, idea of what they’ve gotten themselves into. When a person gets increasingly invested in an endeavor (in the case of Scientology, we’re talking about both time and a lot of money), that investment in itself becomes another factor that keeps people committed to the cause. People don’t like being wrong, and they don’t like having to face the reality of having invested themselves in something that wasn’t what it appeared. For someone like Colleen, having to face the music is painful, and her initial resistance to learning the truth is a very natural and human reaction. This also leads her to try to rationalize her commitment to the Hand. She’s also repeating what she’s conveniently been told: Whenever you hear anything about the Hand doing evil things, that’s not the “real” Hand, but a rogue faction. What the real life example of Scientology also teaches us (as evidenced by the many upper management types who’ve left and spoken out), is that even “good people” can find themselves in situations where they commit horrible acts, not only as a result of being under pressure from people higher on the proverbial ladder, but because the end goal is considered so grand and worthwhile that it must be achieved at all cost. When under the “spell” of the Hand, Colleen might find herself doing things – such as reporting on Danny – that would not be something she’d feel comfortable doing in a different context. Of course, none of this excuses cult members from being fully responsible for their actions – we’ve seen enough instances of “I was only following orders” throughout history – but understanding the psychology of cult indoctrination is helpful if we wish to at least understand how people come to act in ways that might run contrary to how they would act outside of the influence of a cult. My final piece of comparison between the Hand and Scientology – before I start to bore you – has to do with the organizational structure and the actual infiltration of other entities. I’m not thinking only of what they’re doing to Rand Enterprises, but also the way they’ve planted agents in other places, such as hospitals. (Unbeknownst to most people, in the 1970s Scientology was behind one of the biggest cases of domestic espionage in U.S. history. “Operation Snow White” saw thousands of agents infiltrate various government agencies.) The Hand has its proverbial fingers in many places you wouldn’t expect and I find that rather intriguing. While we’re on the topic of the Hand, let’s talk about Madame Gao. It was a big surprise to many of us to discover that she’s actually a member. Or is she? What I love about Gao – and she reaches new heights of mysterious creepiness in this show – is that she still seems somehow outside and beyond whatever context she finds herself in. If she’s perceived by the Hand as one of their own, I would suspect that’s an assumption they make at their own peril. She seems to have her own agenda, and the fact that she’s never given any indication previously that she’s connected to the Hand (these shows are, after all, supposed to be linked), suggests to me that they are a mere tool for her. Whatever the case may be, and however strange the twist of her ties to the Hand seems in light of her previous appearances in Daredevil, there’s no denying that she comes across as more menacing in Iron Fist than she did in Daredevil. I’ve touched on this already and I don’t mean to belabor the point more than necessary, but Danny was a big problem with this show. The hippie puppy dog thing was charming for a little while, but felt over the top. By the time Danny was back at the helm of his father’s company, I was starting to root for him to get fired. Was the profit margin that the board wanted for their new drug excessive? Quite possibly. Whatever the case may be, the rational thing for Danny to have done in that situation was probably not to just give it away. Not if he wanted to actually continue to invest in future research, possibly curing other diseases, as well as put money away for the next recession or to offset a bad future investment. A morally sound entrepreneur, the kind that Danny probably hopes to be, is one who can conduct his business without bankrupting either his soul or the company he runs. Danny has no idea how to strike an appropriate balance here. His naiveté was on display again when he promised the woman who’s suing the company that he would take care of things. There may well have been something going on at the Rand plant that was making people sick. But we don’t know that and Danny wouldn’t know either. He could have expressed empathy and promised to look into it, without making empty promises. In the creators’ defense, it is pretty obvious that they intend for us to feel that Danny is way out of his depth here. And, considering how common the archetype of the Big Evil Corporation is in modern storytelling, they probably had to go overboard to make as many in the audience as possible look at Danny as an overgrown child who just got his own toy company, and is now busy blowing bubbles and flinging cereal all over the place, while the adults watch. That Danny is not only trying to do the right thing, but is trying to do the right things while not having any clue or sense of how to run a business. But the problem goes back to the character’s motivations. Danny admits at the end – and everybody agrees – that he’s not much of a businessman. But what made him think he wanted to be one in the first place? What, aside from the fact that the passage from K’Un-Lun is only open once every fifteen years and he may be a bit homesick, made him want to return to New York? It’s presumably to secure his father’s legacy and take back what was his, but what did he think that would actually entail? What plan or idea did he have beyond going back to New York and having his destiny magically materialize? There’s also the fact that, to paraphrase Madame Gao, he’s not a very good Iron Fist. When you think of someone raised by monks in isolation, with years of training under his belt, presumably special enough to be chosen for such an honor, you expect that person to possess some restraint and discipline. To be more of a sage and less of a man-child. You also expect his fighting chops to be out of this world. I’ll tell you this much: Matt Murdock had much better training. Though I suppose the two of them can bond over both having a childhood that included being hit with sticks. This aspect of the show didn’t live up to what I expected at all. Oh, and can we talk about why Danny insists on driving even when Colleen is in the car? Danny doesn’t have a license. Colleen probably does. That bit is just weird. Danny’s being naive and rudderless is clearly meant to be a part of his story, but it still amazes me that he never quite graduates from that. Did they not know what to make of him? Even in The Defenders trailer, it’s clear that he’s the one no one takes seriously. Which fits the narrative of Iron Fist, but is a strange thing to have happen by design. Ward may have been the best thing about this show. At first you hate him. Not because he’s really being unreasonable (with the exception of looking to have Danny killed! ), but because he comes across as an unfeeling creep, especially in the flashback scenes. Then he gradually grows into a human being you care about. Not a great human being, by any means, and certainly not without serious flaws, but a real person who gets some measure of redemption at the end. Ward puts up with so much madness in this show, it’s really no wonder he ends up addicted to prescription drugs. I’m not sure having all the money in the world is enough to make up for having a controlling dad raised from the dead dictating your every move. Much of the credit for making Ward so watchable goes to actor Tom Pelphrey who feels like he was born to play this role. The first time I watched the show, I was actually a bit annoyed that both Ward and Joy appeared to be much older than they were supposed to be (I was shocked to learn that both actors are actually only five years older than their characters’ presumed ages of 25 and 30), but in Ward’s case at least, I don’t care, because he’s just so good in the role. If you want to read a real love letter to Tom Pelphrey’s work in this show, and a very funny one at that, here’s a story from Mashable that’s bound to put a smile on your face. It certainly did mine. 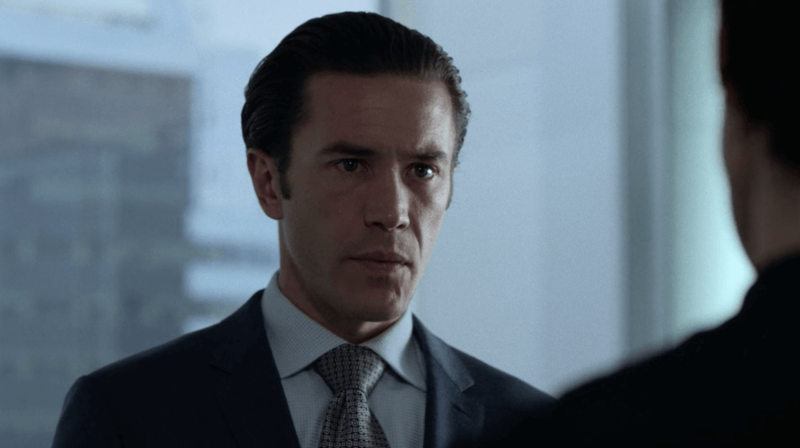 And, as suggested in that post, if you have a hard time watching Iron Fist because Danny doesn’t really do it for you, try watching it again, and pretend it’s Ward Meachum’s story. It sure makes it a lot more interesting. We already know that Elektra will be coming back in The Defenders, presumably as a fairly major character. One interesting thing to think about, that I haven’t really seen anyone mention, is what we learn about Hand resurrections from the strange case of Harold Meachum (another entertaining, albeit very unevenly conceived, character in Iron Fist). Harold comes back from the dead a second time in this show, and it is mentioned that every time someone comes back, they’re essentially a little worse for wear. In the case of Harold, he becomes noticeably more sinister after his second return from the dead, with no impulse control. What will this mean for Elektra? There’s a lot of comic book lore that goes into this one, as Elektra’s comic book counterpart was also raised from the dead, but here there’s a lot to suggest that she’ll have a little less good in her than she did the last time we say her. I love Claire, I think most of us do, The only problem is that each new show seems to bring a slightly different incarnation of her. I loved her in Luke Cage, but found her newfound fascination with superheroes to be a bit surprising given her appearances in seasons one and two of Daredevil. 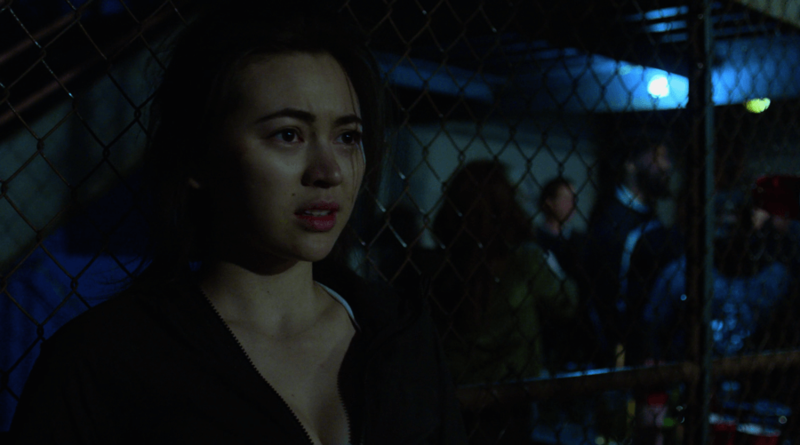 In Iron Fist, her reluctance to mention or contact any of the other heroes she knows almost takes you out of the story. I know she can’t, because they’re not supposed to meet yet, but at this point you have to give her a decent reason for not contacting them, or it will feel odd given that everyone watching knows what she knows. And it can’t be that she thinks Danny’s got this all figured out on his own, because he so clearly doesn’t. Overall, she feels shoehorned into this story, and I’m really hoping that The Defenders will do a good job of finding a place for her where she’s a real person again, as opposed to a storytelling device. Remember those early set images from before season one of Daredevil was released of young Matt clearly being hit by a truck with a Rand logo on it? I suspect the reason we never got to see the truck from an angle where the logo is clearly visible, in the show itself, was because they’re saving that bit for The Defenders. People who are fans already know about this connection, but still. In Iron Fist, the logo has been updated, except in flashback scenes where it looks exactly as it did on the truck that hit Matt. If they do anything with this in The Defenders, expect quite a bit of tension, especially since it appears the Murdocks were never paid a dime for what happened. And this was back when Danny’s father was still running things, which might be an interesting eye-opener for Danny. Hi again Chris, and thank you for the review. For me it is not belated at all for I must await on the blu-ray to come out to this region for comparisons. Very well written and informative. I see NO need to apologize. Great show as usual. I guess there has to be a runt in every litter so, at least it is good to hear that it’s not that little of a runt, and that there are elements making it worthy of viewing, and also that it picks up at last 3rd is most important. Looking forward to the more solid acting renditions, Ward really does look capable so with an even more evil Gao it sounds like a blessing for the show. Wow, pretty fitting model for the Hand and I am especially waiting see the elements comparing the structure of the organizations. Most interesting indeed. Sounds like there is something to really analyze there. My gosh, an even more twisted version of Elektra coming up in Defenders? Holy smoke, look out! But cannot really say that I’m not awaiting her too. If only they had worked Danny up to par, and a shame Rosario’s talent was limited but hey, like you cited, there is still the Defenders to grab for. sO glad to hear that you’re dealing with everything. Keep yourself up and well and thanx again. I’ve still got a few eps to watch- OH is watching it with me this time, so can’t bingewatch! But also haven’t been so inclined to. Just a very quicky- but yeah- agree with what you’ve said here. I hated Ward at first but was only saying the other day how him (and Colleen) are by far my fave characters now. He really grew on me. They’re good at casting like that, I’ve found. Had the same in Luke Cage with most of the cast.. Claire. Yeah- noticed she was very different here. Almost manic? I was a bit discombobulated tbh.. more later. Thanks for that though.. nice to have you back. Christine, as always your perspective is insightful. I think I was hoping for a little more martial arts from a martial arts based show. I don’t think it unreasonable to expect something epic. I like your observations about Ward and the Hand. heck, yeah, some really went downtown with the critique on this one. The statement in the previous review concerning this topic, that being that if truly wishing to bust stereotypes start by casting more asians based upon in reality harder to come by positions such as lawyers, doctors, judges, scientist, etc. Well, that just says it it all. I understand that this is not the place to make such (seemingly) detached topics such an issue but, would I be understood for feeling a bit more of a connection if, by extension of the example above, I added that, as much as I respect most of Miller’s work..
..from my view, I would express some disappointment with his take in “300”, and most all others here after the film made it’s world premier in our little comopoli (com=small and quaint, cute, pretty.. as in comb, the hair-like tail of a comet), would you permit me to add the question, “would sensible individuals of any race, or smaller societies comprising its whole, wish to be recognized via of their’s historical military prowess and/or individual combat skill as the primary defining characteristic of their complete identity”? I’ll get back to this closer to the end. I realize we all, races of all nations could claim a tad closer connection to said flawed view. “Stereotypical, noble white man as saviour”? “Deemed more worthy than the native masters”? So, a “dishonorable” white destroyer faking the “saviour” would serve better? Or even within the scope of his own race? As did the french Lancelot for Camelot? Again and by extension of the other view, as did Greystoke for an even further extreme “racial” departure with the natives of a primate kingdom? The “Colored people.. people of color”? Would I be completely off if observing that, if anything and as an extremity, black, being the state of the complete absorption of light, could render its direct opposite, white. as the penultimate “color” according to the spectrum as we understand it (and if need be a desire for a play at word games)?.. “colored”?.. wherever on earth did this paralogical term arise from? It appears to come off as a lamb attempt to encompass all but the white. So, this so called “miscast” is to be taken to translate as an affront upon an entire, and in fact even the largest, continent as a single race? Unwarranted blast at Marvel, perhaps? Didn’t Montgomery bring this issue into the light in the early ’70s and countered with his input culminating in T’Challa receiving his own title, “The Black Panther”? Also isn’t or wasn’t there at least one other title devoted to an asian martial arts protagonist, Sang-Chi:? The how many people one could kill being the criteria determining to what level of glorification, to even immortalization, that a warrior (and soldier) would’ve been honoured by, and therefore being deemed “hero” in status, has roots from way back when in eras well BC.This need arising from the fact of the then far more commonality of the occurrence of battles and overall states of war in those eras. Could this be the reason, or one cause for an apparent division in our human nature, an inbred underlying schism of our whole in which one part has been left stigmatized deeper within our subconscious? Fortunately, the term hero has since evolved, taking on a more versatile or acceptable and less absolute definition. I believe as I believe all logical people would like to believeI, we not only like and desire to have and see other people around us, happy and productive, with family and children to raise and to enjoy and with their final inter-mingling, we also feel a NEED for this. So it should follow that the natural course for this journey would mean expansion as we proceed, growing according to the simple “the more the merrier” dogma. These types of views expressed in critique, and in such manners, do not have a feeling of genuinely supporting the interests of progression of peace as I attempt to express it here. Additionally, the fact that they are usually presented in post-grad literary level grammar and syntax etc. may make one ponder on whether or not it is really just a matter of misunderstanding.. or if there are other motives underlying. Still, we do wish to initially think the best about others. Well, there I went again, taking too long to reach a point. I know guys, less can be best. As for Frank, well, he merely needed to talk with a few level headed helenes and would have better been able to express more of the simplistic, yet still finer, points that would have added further dimension to his endeavor, but he’s not fully to blame as those primary identifiers of then have since taken a backstage behind the veil of time. Should I d a such as? Don’t wish it to drag. Less can be be best. Although you need not be told that it was usually reserved for the necessity from which it was spawned, so maybe you can see that the laconic can unknowingly become a real overkill, really REALLY hurt feelings, A pandora’s box not to be opened unless at a dead-end with no retreat, and add a handle with care. And to deceive a youth, a young man but not yet fully matured who’s a liege placed under one’s trust and care, would navigate one to that pit (portrayed a bit too grandly) quicker than it had the persians, and the mother would have had the privilege of the kickoff. Bu, part of the point is that one would’ve met a similar destiny in any other part of the nation. Here again, the term defining this code has since done a 180 degree Uey. Anyway, hence my hangup with the respect the elder thing. Top priority, full point. Hope dies last. Since we must offer a bright side, through the fog of created dismay we may view that misinterpretation as a good sign in as that of just an expectation of a major contribution to real change coming through, of all things, comics saying it all. Yeah, cunning is the fox but shrewd is the collie. Meaning the original, pre-victorian scott highlands, that has been almost lost, as the ultimate example. From your reading position you may think, sounds good but give me some solid evidence so I know you’re not just trying to yank me. Alas, how can I if we as yet have to taste what a world of real change would offer and feel. Those old girls past 100 years down in the twit of the page though for a start, imagine if the increase continues and the decay retards, and your usable life means you can put your skates on and still play hockey with your great, great (or even) great grandkid. Awe, man! Thanks for the space. Be well. Thanks for your thoughts. Insightful as always. I agree with many of your opinions — Danny’s character is problematic, Colleen and Ward are great, Claire isn’t handled very well. I do think the show explained why Danny left his post to go to New York; it’s just the explanation isn’t very satisfying. The show implies that Danny is looking for family, looking to somehow repair the enormous loss he suffered as a little boy when both parents were killed before his eyes and he was cut off from everything he’d ever known. A large part of his soul remains stuck in that childhood trauma, which is why he’s so immature. The problem I have with this is I would think an order of monks in a supernatural Heavenly City would do a better job helping heal his spirit but the strong implication is they just taught him to “stuff his feelings.” So instead of being wise the monks are a pack of idiots who need schooling in Pop Psychology 101. Plus the mystical entity who selects the Iron Fist chose an emotional cripple for the job. So the problems with Danny’s character are actually a huge problem with Kun Lun as well. I don’t know if there is some way of fixing this in the Defenders — like maybe Kun Lun has become corrupt. After all Madame Gao makes it clear she is familiar with the place. Hmmm. Oops. McGregor responsible for the Panther title. Sorry folks. There are some nice insights in the responses. After seeing some of the snippets on the web, I can say that the people who enjoyed the slower but steadier pacing are right on. It feels like one which to devote some relaxed meditation over, and I must agree with the critics who felt that undeneath there were the makings for something really different here. So to expect an epic, heck yes, and in an even different enough construct. Pop Psych 101, Ha, for monks. That the corruption extends all the way up to the heavenly City sound like very intriguing angle that they could really present something different through. Yes, I am now at the point where I can’t wait to see Henwick (didn’t catch the whys for the no chemistry between her and Finn comments, from the little that I saw), and Pelphryey does have a most promising eye. Well, Iron Fist was, all in all, a very watchable series. Looking past the complaints, of which many were blown out of proportion through preconception yet some were truly grounded, I enjoyed it quite a bit. Things like the big deal made about Dan’s inability to explain what he was doing there, where he had come from and, most importantly, how he got back to NY seems, to me, rather something of a drowning in a teaspoon of water, considering that he (justifiably) was in a turbo-state of soul, mind, and culture shock and thus himself didn’t fully know. At any rate, an explanation that would’ve appeased any NYer about the truth does not exist, except for the truth itself, which no one would believe anyway. Again, the actors were all well cast and performed true to form. Rosario was funny with the duckling snatching and such, even if not as grounded as before. Stroup was well in control in surfing the fine lines between yes and no and I’m sure and I don’t know. There WERE things that didn’t flow. Finn’s lack of martial arts experience was evident throughout the duration, seen with the on purpose slower reactions of his more expert foes, and the cuts in and out between him and the stuntmen were so common, unexpected and misplaced so that these weighed the fighting scenes down, coming off incomplete. It seems to be the weakest aspect of the show. Another oversight or misalignment was a question as to why Jones was required to adhere to and do a superb job with his american accent but Davos, being native to K’un Lun, got away with a british one so thick that I found myself relying on the subtitles for almost a full five minutes before realizing that he was not speaking his native tongue, and still even then I had to resort to the subs every so often. Oh well, these were not so major. Even the best big screen productions have their share of movie goofs so it was not as distracting as it was initially criticized to be. Madam Gao was an essential. I saw her as my mother when she tee’s us off to the point of insanity but, we can’t help but love her anyway. So wicked yet so funny. Was her statement that she never believed that she’d “meet another one like you (or another Iron Fist?) in my lifetime” a contradiction when later, after the truth sirym, she attests that she has undergone interrogation since the 17th century? So, she knew not of Randell, but did claim to know Danny’s father Wendyl? Then, they must write it so that Wendyl was not an Iron Fist? Unless she was lying. Still, if she was truthful about being from the 1600s, must have she not come across (quite) a few immortal weapons, like generations thereof? Anyhow, she gave a strong performance and I cannot see how she may be excluded from the Defenders series considering the ending, where Dan and Colleen come across the dead Hand warriors, and the city has vanished (or burned, razed) and Gao had been to k’un Lun before. Does this mean that they must at least touch upon the 8th Heavenly City? Yes, I believe so, but a full resolution to that part of the story would most likely need to wait for a season 2. Ward was great. I really enjoyed his developed system for handling the insanity throughout all of those years, until it all just got too much to take. Harold was a great to hate type of character. Seeing Ward’s in retrospect to danny’s plight, I couldn’t help but think about one question that gets raised frequently, that concerning child rearing. Joy mentions, after Danny relays his younger experiences at the monastery, that “it sounds like abuse”, and I contrasted danny’s hard work, training and scenes like getting “sticked” by the monks to that of the missions assigned to and treatment of Ward, respectively, by Harold. Bearing in mind that this is fiction, still, it appears that Ward even in all his success had it far worse than Danny, and it played out leading Ward to the edge. As I said this is, after all, fiction and due to this we cannot reach any real life based conclusions about the subject but, this comparison was dormant in the back of my mind through the duration, and a most major one at that. Agreed, Harold was too present.. everywhere. As mentioned, the material Finn had to work with was too thin. Simple enough yes yet, turning it incoherent was that it was made overly dense by, I believe, too frequently redirecting its route to cross-section through non paths (Harold). I mean, Harold was basically just a prisoner, immobilized in a grand suite and, under control of and for the benefit of The Hand, running the company through his son. There are other ways in which to deliver varying but connected chapters simultaneously and simpler, quicker, and with less confusion. This particular flaw somewhat defeats the impact that the slower but well paced script can afford. At the same time there were many things to like again, due the laid back nature. This gives one more time to think about the “hey, what if” aspects. One part I really enjoyed was the burning of the poison in Colleen. She was a real and necessary asset to this series. When It appeared that she may not make it I was like “No! No way!” (even knowing it’s just a show). This was cool for me, the fact that the Fist means so much more than just another head buster. So it seems that at 8 episodes The Defenders have a lot of ground to cover. Or perhaps they will more rapidly deal with more pressing plots, wrapping these up through further integration while at the same time devote a bit of air space to set up the next run of series’ with some carefully planned inter-weaving and open cases for the future. It would appear difficult to deal with all 4 mystical or invisible themes, occupying me at least (Religions, Black Sky, The Heavenly Cities, Fringe Scientific Experimentation as in Cage and Jones), and to deliver the screen’s version canon all in less than 2/3 time. Most likely the mysticism will take less of a priority, for the mean time. Even still, the action should be lightning.